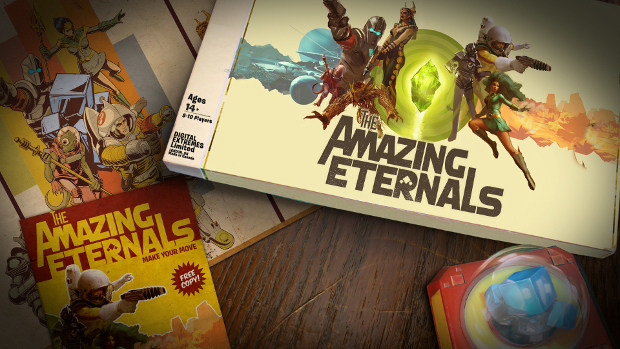 Literally minutes after getting the news that Amazon Game Studios’ Breakaway was going on “indefinite hiatus,” we have news of another hero shooter slamming on the brakes — this time it’s Digital Extremes’ The Amazing Eternals. MMOBombers who got a chance to play it thought it needed a lot of polish, and the Warframe developer seems to agree. If you were excited enough about the game to plunk your money down, don’t despair. Over the next three days, Digital Extremes will be handing out refunds to people who purchased a Founder’s Pack, though it may take three to five business days to fully process. The game’s servers will remain online until midnight on Nov. 2. Between this and Breakaway’s failure to launch — and the increasing frustration from Cliff Bleszinski as LawBreakers continues to struggle — could it be that we’ve finally reached the oversaturation point for hero shooters? Probably, but it remains to be seen if it will stop developers from continuing to produce them, in the attempt to get some of that sweet, sweet Overwatch market share. GREAT NEWS< GAME IS BRAINLESS PVP NOTHING ELSE,REMINDED ME BRAINDEAD MOBAS WITH ONE MAP PVP OVER AND OVER! IN WARFRAME PVP IS ALSO DEAD FOR GOOD! STICK WITH SUCCESFUL CO OP PVE AND MORE RPG ELEMENTS! Good games seem to be none existent today… Some really good games require you to have friends to play with in order to have the fullest experience and others are just crappy insert your credit card here to get cool looking things and maybe some extra stats for pvp careers.. OR you get ones that just give you little story and then expect you to repeat the same content over and over and over again. What do you expect. People keep throwing money at it, so it’s never going to change. What’s the hot topic in today’s news? Loot boxes. Will they get rid of them? No because, once again people keep throwing money at them. Good games are out there, you just have to look for them. And if you’re only looking for tish, don’t be surprised when it’s the only thing you find. Finally its coming the end of mmo market as it is today. Maybe just maybe we will once again see bloody quality content not just day light robberies we got today. I wish for a game too be a game not a chore.